The teaching profession is rapidly changing, and we need innovative and dynamic educators with cutting-edge skills to guide students in the 21st century. 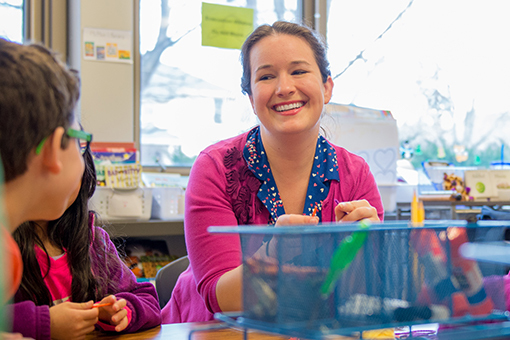 Northwestern’s School of Education and Social Policy provides teachers with those skills through a sequence of institutes focused on advanced teaching topics such as instructional coaching, next generation science teaching, gifted education, school climate, and computational thinking. The one- and two-week summer courses are offered on the beautiful Evanston campus from 9 a.m. to 3 p.m. to fit into a teacher’s busy schedule. You can choose whether or not to take the classes for graduate credit, or for professional development hours only. No application process; just register. The fee is $1600 per institute, paid at the time of registration. Apply online. You can apply either for a full masters degree in Teacher Leadership, or as a student-at-large for the intensive summer institutes only. You will need to submit official transcripts as part of the application. If admitted to the program, you will register for courses through CAESAR and will be billed the regular MSEd tuition rate for each course ($3599 for summer 2019). 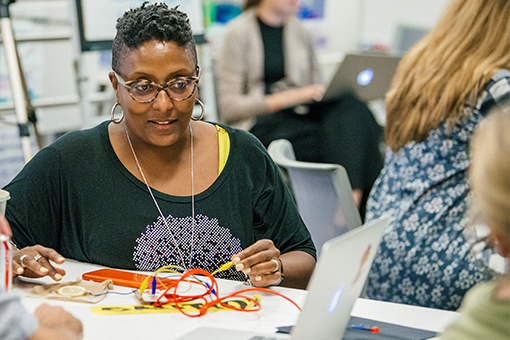 In this Institute, participants use their own experiences as teachers to explore the complexity of teaching. We consider the role of teachers' knowledge, beliefs and identity in influencing a teacher's practice. We also examine the process of learning to teach — how novice teachers develop expertise and the different ways veteran teachers make changes in their practices. This Institute is a wonderful foundation for teacher leadership, instructional coaching, and professional development. 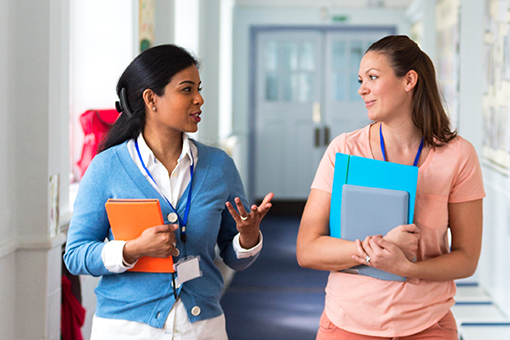 This Institute explores a variety of approaches to the mentoring, coaching, and evaluation of teachers and other educational personnel. Topics include new teacher induction, using data to improve instruction, self and peer evaluations, and accountability. Participants will actively practice observing instruction and how to provide effective feedback and coaching to teachers. This Institute provides participants with core knowledge and skills necessary to meet the needs of students who are academically advanced or who demonstrate the potential for accelerated learning. 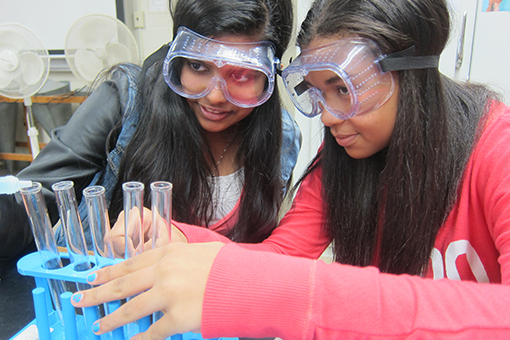 Through academic study and opportunities to observe classes at Northwestern’s Center for Talent Development, participants learn about characteristics of advanced and high-ability students, delve into appropriate curricula and instruction to maximize talent development, and examine issues related to identification and appropriate services with an emphasis on equity and access. This Institute introduces the concept of computational thinking as an essential literacy for students to succeed in today’s society. We will grapple with the theoretical construct of computational thinking, examine several computational tools, and engage in concrete applications of the ideas of computational thinking, including a project that will exemplify computational thinking in schools today. This Institute will explore the five SEL skill areas of Self-Awareness, Self-Management, Empathy, Relationship-building, Decision-Making and how to make these skills intentional and explicit in classrooms. Participants will read the research behind these skills and practice integrating SEL skills into lessons and classroom practices. 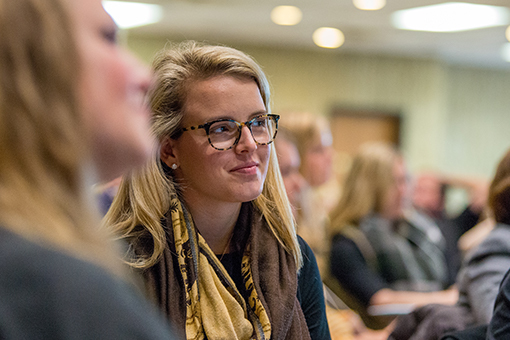 Several sessions will feature Northwestern researchers looking at the science behind SEL. More and more schools are turning to mindfulness, peace circles, and restorative justice practices as alternatives to traditional discipline. The impact can be improvements in overall school climate, reductions in referrals and suspensions, and improved learning conditions for kids. Participants will engage in these practices to understand how they can work for both students and teachers. School climate is a reflection of the health and well-being of students, teachers, and parents. 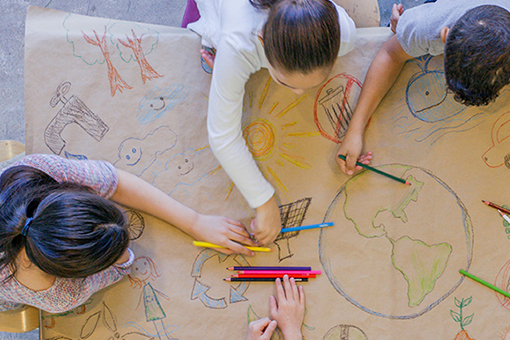 By understanding and leveraging classroom and school climate, educators can improve the academic, social, emotional, and physical dimensions of a school. Participants will delve into school climate data and the many ways small changes in practice can result in major improvements. 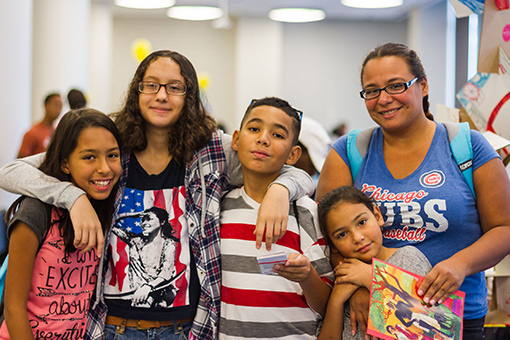 As the adage goes “It takes a village to raise a child”, educators must find better ways of enhancing the relationship between the school and the community, especially parents and families of their students. New research and models show this is not only possible but essential to the health of students, the school, and the entire community. 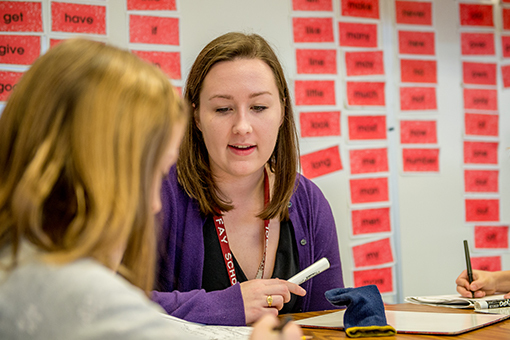 This five-day institute explores how to develop and teach with storylines for the Next Generation Science Standards (NGSS), in which students see each step in their science work as addressing questions and solving problems they have identified. 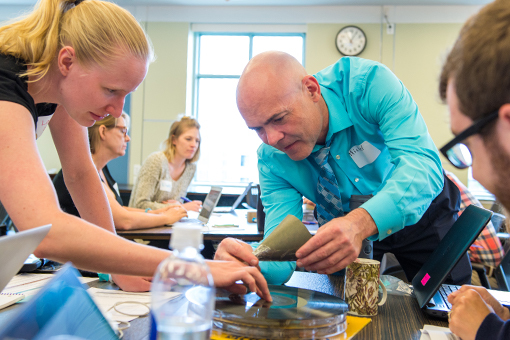 Participants analyze examples of video and student work from elementary, middle school, and high school classrooms to develop the strategies necessary for supporting students in three-dimensional learning with NGSS storylines. Participants will work in teams to adapt an existing unit or develop new a unit that reflects the storyline approach. The project will result in an NGSS-designed unit for teachers’ own classrooms that can be enacted in the next school year.